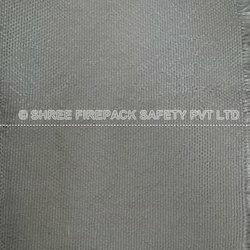 We are a prominent Fiberglass Roving manufacturer and supplier based in India. - Weaving, NCF, Prepregs, Filament Winding, Pultrusion. Polyester/Vinylester & Epoxy. 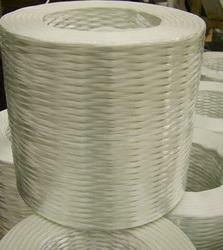 Our clients can avail from us a wide array of Fiberglass Roving. It is the most basic type in the material of glass fiber reinforced plastic (frp), have good insulation and heat resistance. Mainly used in frp, machinery and twine, spray, pultrusion, smc, etc. We offer our range in various specifications, which can be customized as per the requirement of our clients. Our esteemed clients can avail from us a wide range of Fiberglass Roving, which is fabricated under the guidance of our experts and by using best grade raw materials. We offer our range in various specifications, which can be customized as per the requirement of our clients. Moreover, we meet the bulk demand of our clients within the committed time ..
Usage/Application: FRP Radome,Constructions,Pipelines Industry etc. Gun Roving Fiberglass has uniform density ensures consistent fiberglass content and mechanical properties of the final products the mats. In order to retain a remarkable position in this industry, we are providing a wide array of Roving Fiberglass.